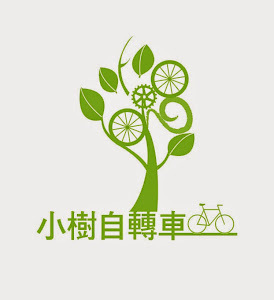 Taiwan Cycling: A Shining Example? The Vancouver Sun had an interesting piece in which the writer uses Taiwan as a model for Vancouver. The author raises some good points, but risks over-idealizing Taiwan's cycling environment in his pitch to his Canadian readers. The government seized the opportunity to offer incentives to build "bike parks" around the island. These are scenic rural tourist destinations replete with paved paths, tea houses, bike rental stations, ponds and bridges, and picnic spots. There are now dozens of such bike parks all over that country, and one can only wish some clever folks would build something like them in Canada. "Bike hotels" are springing up replete with drive-thru lobbies, wash and repair rooms, cycling instructors and rentals. You can ride your bike right into your room and hang it on the wall. Paved bike paths and bridges are popping up everywhere in rural Taiwan. It's a recreation revolution. While there are more cycling projects in Taiwan than ever before designated for cycling recreation, at best Taiwan's current cycling situation might be similar to having dozens of beautiful islands separated by shark infested waters and nary a boat in sight. The hotel he describes is the Yoho Bike Hotel near Heng Chun in Pingtung County. He also fails to delve into the quality or purpose for many of these trails and leaves it to the reader to imagine an ideal, when in fact, there are tremendous problems with traffic flow, speed limits and the quality of construction. The idea of interconnectivity may be stretching it a bit. I know people who opt for taking a taxi everywhere to simply stay off the dangerous roadways. Politically speaking, the end result is that most Taiwanese are now in favour of spending yet more taxpayers' money on much more cycling infrastructure. Building safe and separated bike paths and dedicated overpasses costs money, and in urban areas that means lots of money. Simply painting an imaginary line on the pavement is not enough to encourage most beginner cyclists to start jousting with heavy metal. I do take some exception with the paragraph above. I have yet to see the government directly engage citizens in transportation policy. Most bike lane projects seem to be directives issued from the Executive Yuan or township chiefs with a special budget allotted to them from the central government. This is often where we see bike lane funds misspent on painted sidewalks and crumbling tiled paths. The Taipei City government even voted against spending more funds on rebuilding the disastrous Dunhua Rd. bike lanes. I understand the writer is trying to instigate progress in Vancouver's cycling infrastructure by leveraging it against Taiwan's. Unfortunately, by heralding Taiwan's cycling policy without due balance, the interests of the citizens of Vancouver are not being served. While Taiwan makes a conveniently distant example to draw from, there may be better examples a bit closer to home. Portland, Oregon may be one of the best cycling cities in the world, and it is within a day's drive from Vancouver. It may be more worthwhile to ask for some advice from other cities in the Pacific Northwest, than trying to use selected examples from Taiwan, which is still struggling with its own traffic culture and with the conflicted interests of the state and other political actors who benefit from the current direction of recreational cycling policy. Taichung Cycle and the Formosa 900 will be held simultaneously next year. Giant's Tony Lo advocates Taiwan's "economic integration"(Read: economic and political unification with a large, belligerent neighbor) to ensure its economic viability. Shock Doctrine!!! It is no secret that Lo is politically aligned with the ruling KMT. It is a shame to see his company exploit Taiwanese national pride for profits while selling the nation downriver. Quote: "Lo said Taiwan needs to integrate into regional markets as soon as possible so local firms can enjoy the trading privileges that other nation’s companies do, such as tariff exemptions." This is a familiar talking point repeated by the KMT in their drive to ratify the ECFA agreement (in which bicycle makers were an early beneficiary). Of course, since ECFA was signed there have been no FTAs to date and ECFA has had almost no positive effect on the nations economy or regional competitiveness. The City Fix publishes a strange piece detailing the resurgence of cycling in China and Taiwan. I can't for the life of me figure out why the two countries are being discussed in the same piece as they are two separate states that, naturally, would have different policies and political cultures. It seems random in the least. You might find a better corollary in comparing the UK and India. Sir Chris Hoy, the Olympic gold winning track cyclist from the UK was caught up in the little tremor we had last week. Apparently, Hoy was in Taichung checking up on his new self-branded frames and was given a proper Taichung welcome. Hoy also has some family history on Taiwan.